Michael is our newest member to the crew! Michael is a production technician and a part time student going to college at RCBC. In his spare time he likes to watch football games with all the guys. Connor is a Production Technician with 6 months experience. He has been a huge asset to the group. Also going to RCBC Connor comes to work everyday humble to get work done. He himself also likes to watch football on the weekends with the guys. Nick is a Production Technician who is becoming a state trooper. He has been with us for Eight months. He is very knowledgeable and a hard worker. He plays baseball and is good friends with Chris. Chris is a production technician coming in with nine months of experience. He is a hard worker and loves to work overtime. Chris is the comedian of the crew. He likes to wrestle and played baseball on his spare time. Tayler is the Crew Chief with three years of experience. She is certified in WRT and is great problem solver. She runs a good crew and makes sure the customer is always happy by going above and beyond on the job. She has a 4 year old back at home and is the only girl of the crew but is not afraid to get dirty. Randal is the Crew Chief With six years of experience. He has certifications from the Institute of Inspection Cleaning and Restoration Certification (IICRC) WRT. He is a good leader and always makes sure the job is done correctly. Susan is the office manager with 8 years of experience, Sue helps runs the office and works on xactimate for estimates that go out to the insurance company's for billing. She answers the phones at the office and deals with the insurance company on a daily basis. She sets up the appointments for the crews to go out and is the first person you usually talk to when you call our office. Joey is the Sales and Marketing representative with four years of experience. He is out making sales calls and keeping up on our web marketing. He is a great asset to the company. 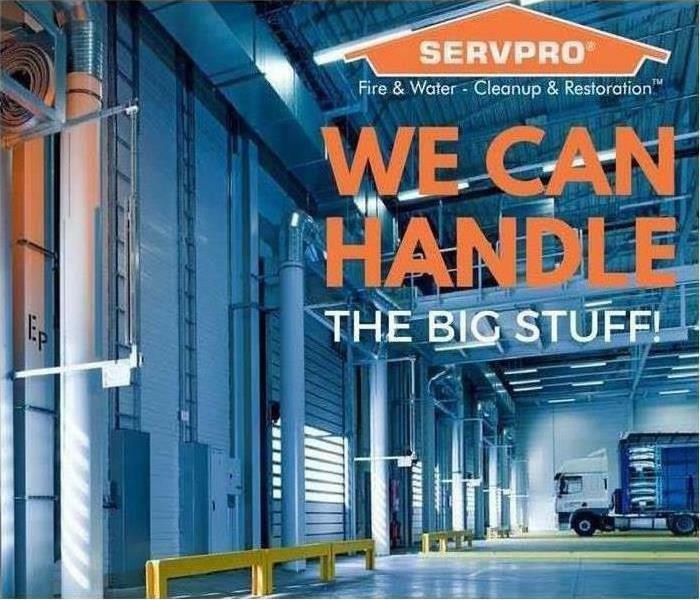 Sean is the General Manager of SERVPRO of South Burlington County. He has over fifteen years of experience. He has the following certifications from the Institute of Inspection Cleaning and Restoration Certification (IICRC): WRT, ASD, AMRT, IOT, Fire and Soot clean up, Carpet and Upholstery. You can find him over seeing the all the jobs, making sure the customer is happy, meeting with adjusters and agents and doing field estimates on xactimate. He has 2 kids, a boy and a girl and is also a beloved husband. Joe is the Owner of SERVPRO Of South Burlington County. He has over twenty years of experience running the business and has the following certifications from the Institute of Inspection Cleaning and Restoration Certification (IICRC): Carpet Cleaning, Water Damage Restoration, Upholstery and Fabric Cleaning, Applied Structural Drying, Mold Remediation, Lead Remediation, Fire Remediation, Smoke Remediation, and Water Remediation. He is a great boss who always wants the best from his employees and is a father to two kids.